ADLINK implemented a Green Product Policy in May 2004, to align the purchasing and use of green products meeting requirements from international environment protection statutes. 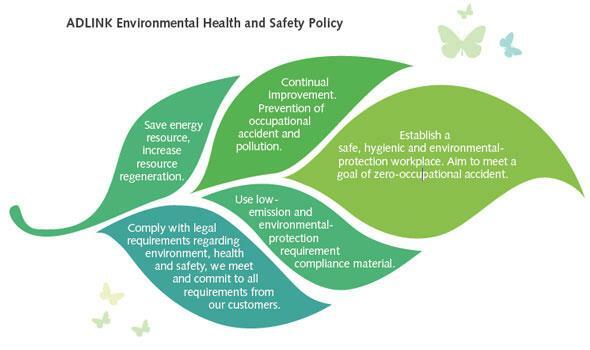 Environmental Responsibility is a top priority for the management at ADLINK. Measures have been taken to ensure that our products have little impact on the environment. In addition to planning a leadless process, the affect on the environment of components and raw materials will also be reduced. 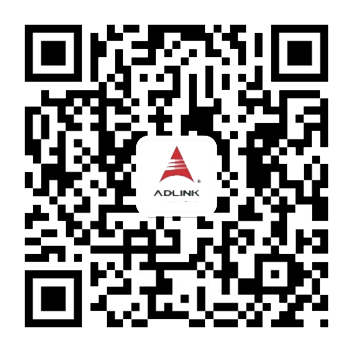 ADLINK is very active in implementing this policy, and is working hard to encourage suppliers to support these changes. Only components and raw materials that meet Environmental Responsibility principles will be purchased to ensure that the parts we use will not contain environmentally hazardous substances. The Green Product concept has been built into our new product development system to ensure protection of the environment and continued business success. 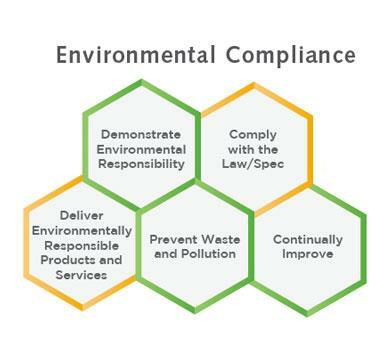 ADLINK is committed to fulfill its social responsibility to global environmental preservation through compliance with the European Union's Restriction of Hazardous Substances (RoHS) directive, which restricts the use of harmful substances such as lead, mercury and cadmium in new equipment. Most end-user applications in which ADLINK products are used do not require RoHS compliance. However, ADLINK will actively work with customers whose products are not RoHS exempt under category 8 or category 9 classifications. Our lead-free production line and process, including solder paste, solder bar and process control parameters, has been developed and standardized in our manufacturing system. 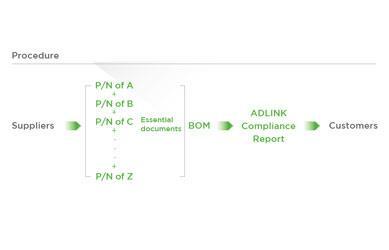 The management flow of ADLINK's Green Policy begins during the development stage of a product. Only parts and raw materials that meet RoHS requirements are sourced. Our engineers specifically design products using only qualified components. 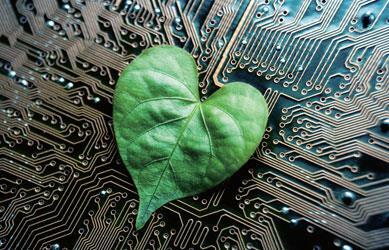 A lead-free process ensures that manufactured products are "green." Green products do not contain environmentally hazardous elements and can easily be recycled. ADLINK TECHNOLOGY INC. will not knowingly procure material supplies and components that contain minerals that directly or indirectly finance or benefit armed groups in the Democratic Republic of Congo (DRC) or an adjoining country. We urge our suppliers to support this policy in their own procurement guidelines and provide us with accurate country of origin information. Comply fully with requests from EICC-GeSI. Conduct a reasonable country of origin inquiry to clarify the origins of the Gold, Tantalum, Tungsten and Tin used in our products. Establish reasonable objectives and targets with a goal of ascertaining and minimizing ADLINK's risk. With a goal of continuous improvement for our Conflict Free Minerals Program, develop a means to measure objectives and targets. ADLINK will also review, revise and report these measures, and overall program updates, on an annual basis. Empower all employees, suppliers, vendors and contractors to take ownership in complying with the Conflict Free Minerals Policy and to escalate risks in the supply chain to management's attention. Effectively communicate to all employees this Conflict Free Minerals Policy and our Conflict Free Minerals Program. The Registration, Evaluation, Authorization and Restriction of Chemicals Regulation 1907/2006, commonly referred to as "REACH", is Europe's new chemicals legislation. The products that we supply are non-chemical products and under normal and reasonable use, they will not release harmful substance. Furthermore, we will immediately inform you in correspondence to REACH-Article 33 if any substance of content (as from a content of >0.1%) in our products will be classified alarming by the European Agency for Chemicals ECHA. Base on the current status, however, we do not expect such an incidence.